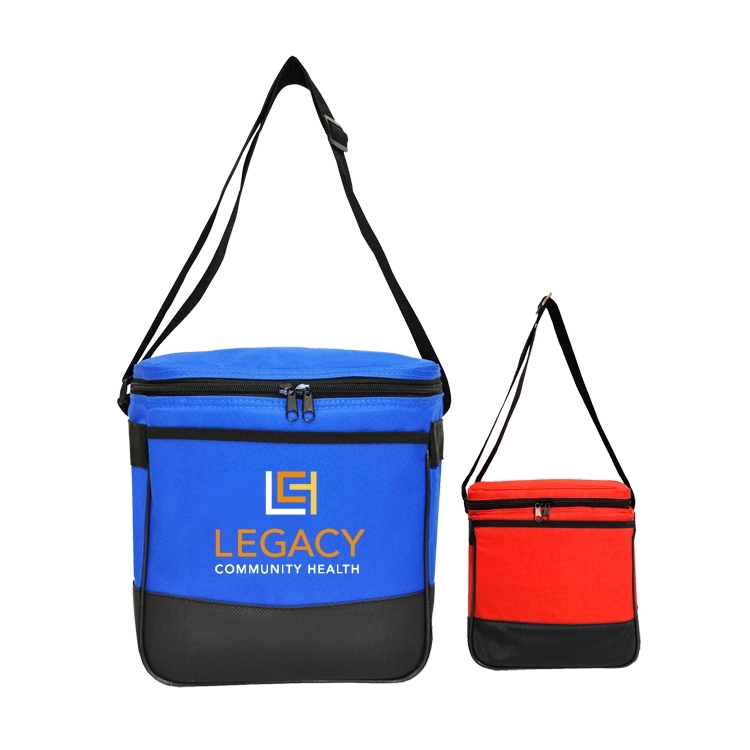 • Sturdy construction with heavy cool pack insulation • Capable of holding six (6) cans plus a sandwich • Convenient carrying straps • Available in many colors • Large front pocket • Material: 70D Nylon Shell. 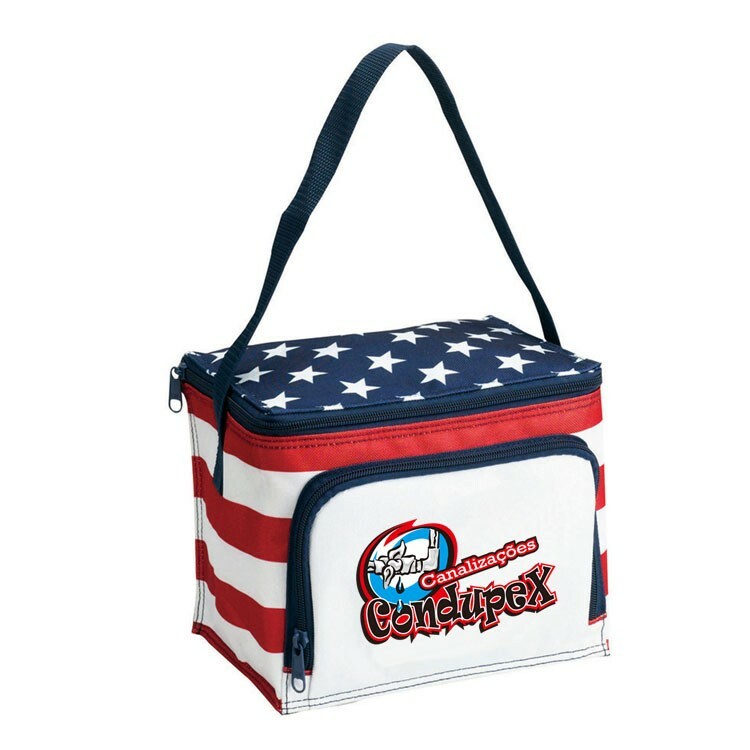 Keep all your drinks cold on the go with this Jumbo 36-Can Cooler! 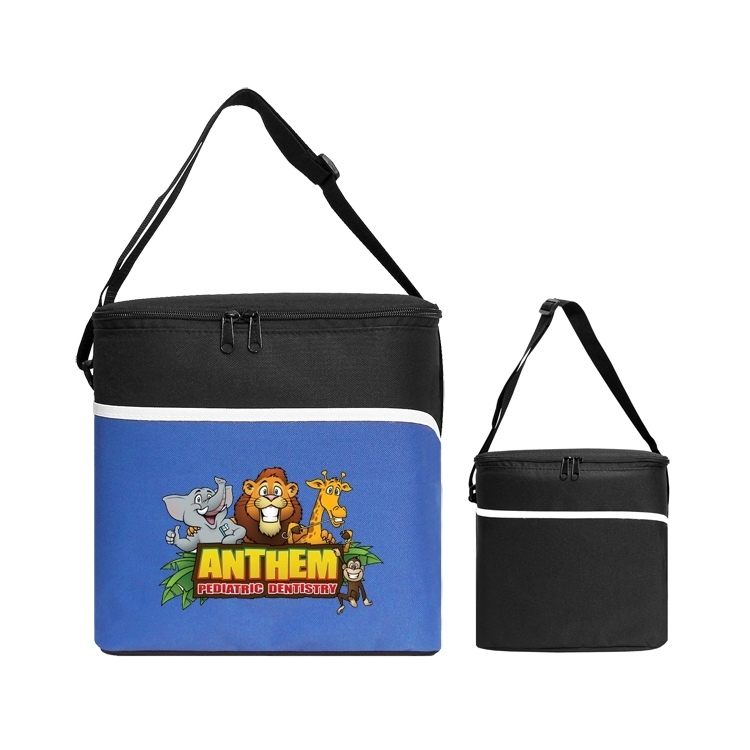 This can cooler features a large front zipper pocket for keys or beach tags and a large side mesh pocket with a Velcro hand grip. The heat sealed waterproof lining ensures your drinks will stay cold time and time again. This bag has an adjustable/detachable shoulder strap measuring 32'' to 50.5'' with rubber shoulder pad for comfortable carrying. 600 D polyester cooler bag with 7 in handle front pocket. 26 colors avaliable. 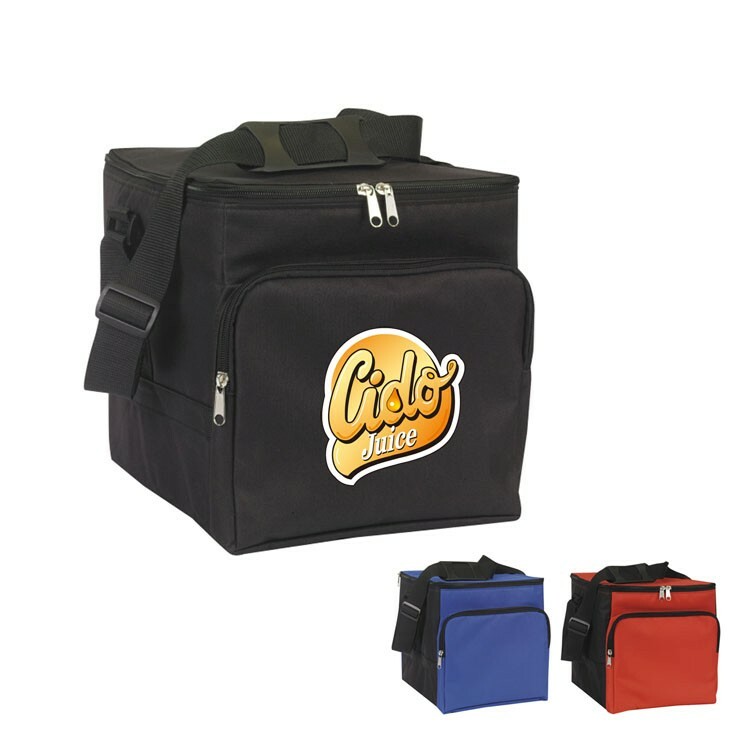 600D polyester cooler bag features a front open pocket, and zipper lid closure. 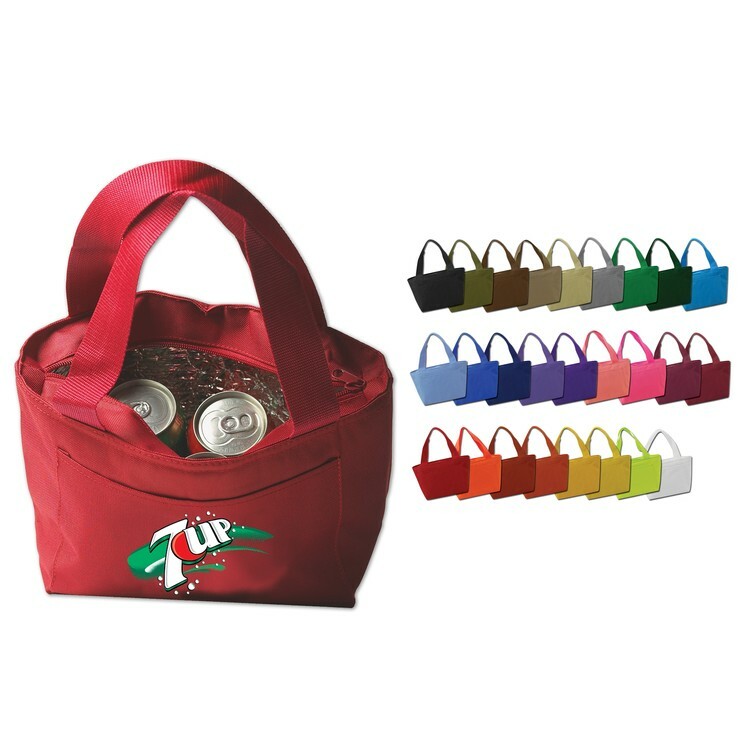 Adjustable shoulder strap and holds up to 12 cans. Lining is heat sealed and leak proof. The perfect bag for camping or picnics! 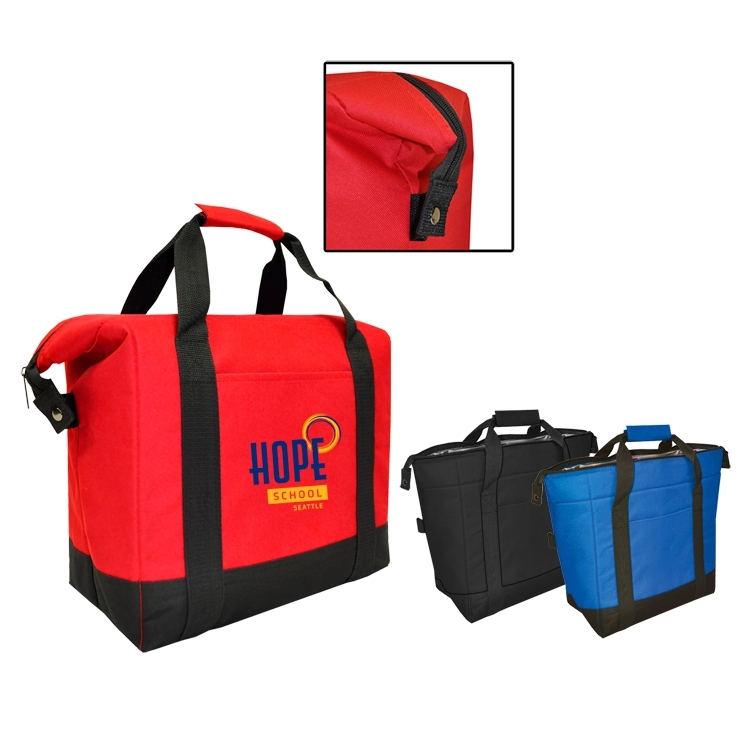 600D Polyester insulated cooler bag. 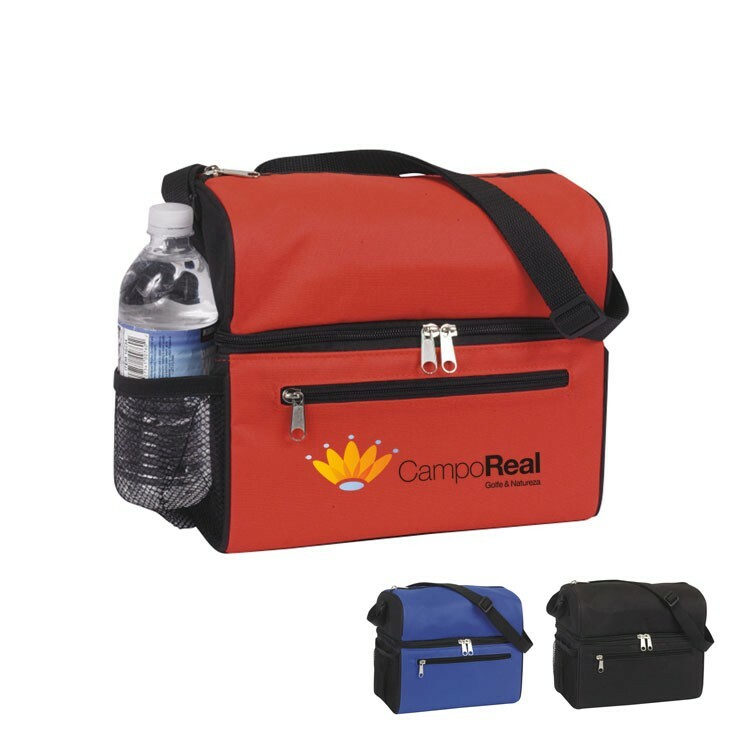 Features insulated, heat sealed & leak proof lining, zipper closure, Side button converts coolers shape, front open pocket & velcro hand grip. 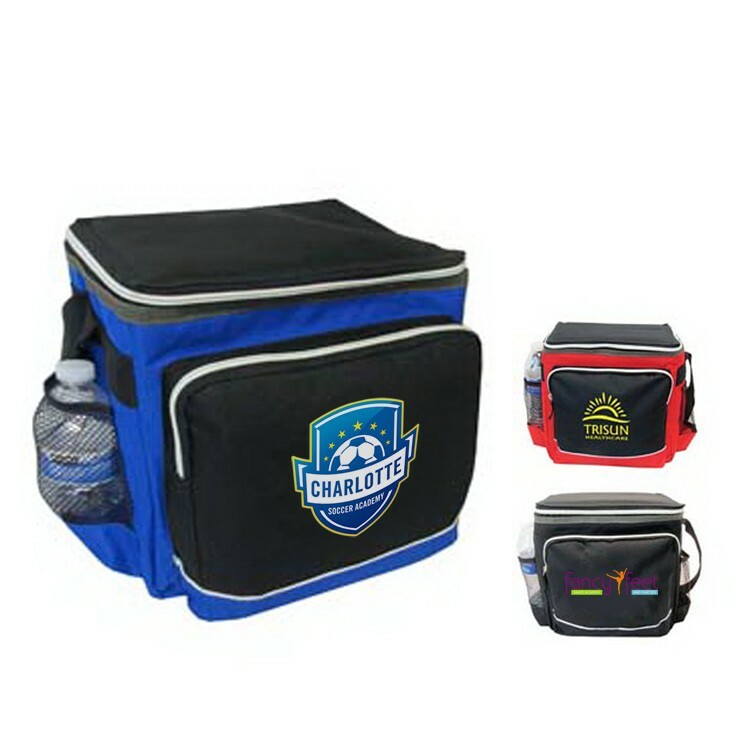 Insulated cooler that fits sports bottles vertically. Made of 600 Denier. It features heat sealed leak-proof lead-free PEVA lining, U-shape zipper top, open front pocket, adjustable shoulder strap, and side mesh pocket. 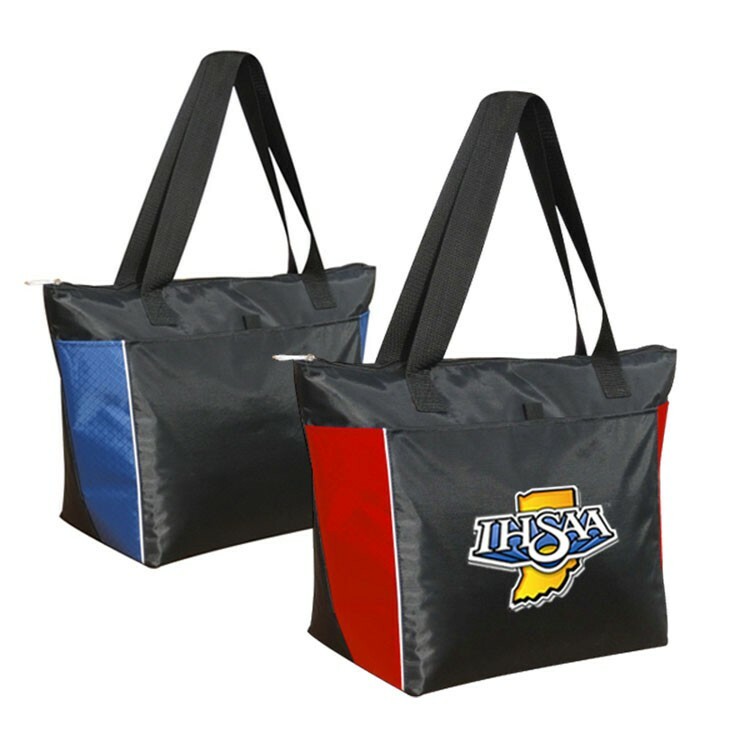 Perfect for any picnic, sporting events, and any occasions. Here is the perfect accessory for any day at the beach or the park! 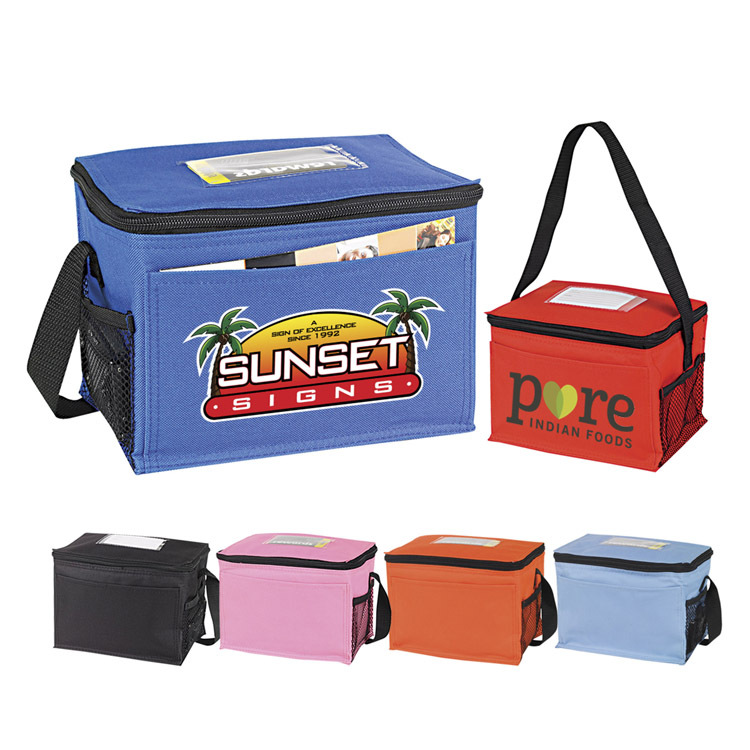 This insulated 18- 24 can cooler features a large front zipper pocket for a cell phone or wallet. This bag has an adjustable/detachable shoulder strap measuring 21'' to 41'' for comfortable carrying. 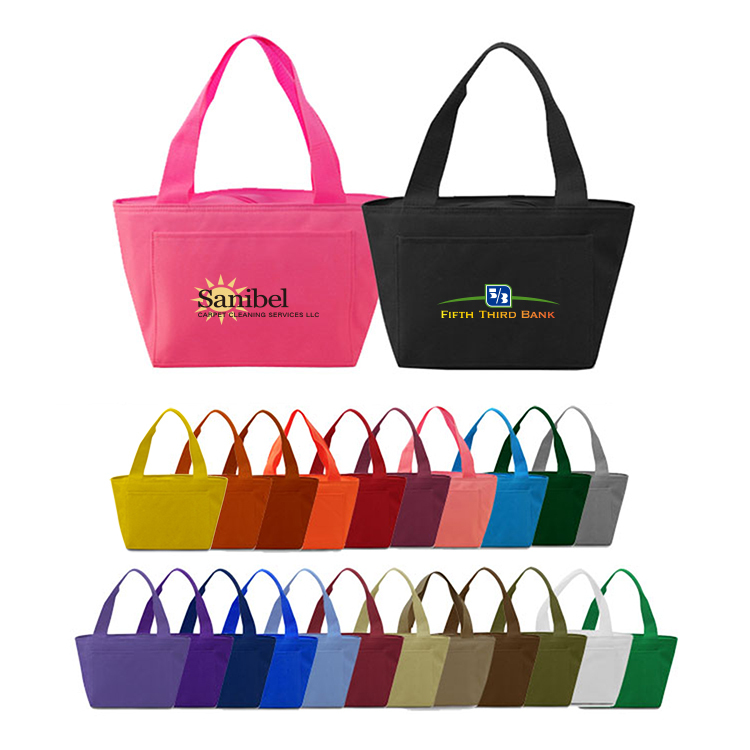 This insulated bag is sure to keep your drinks cold on the go and comes in a variety of colors and imprinting options so you can create a one of a kind promotion. 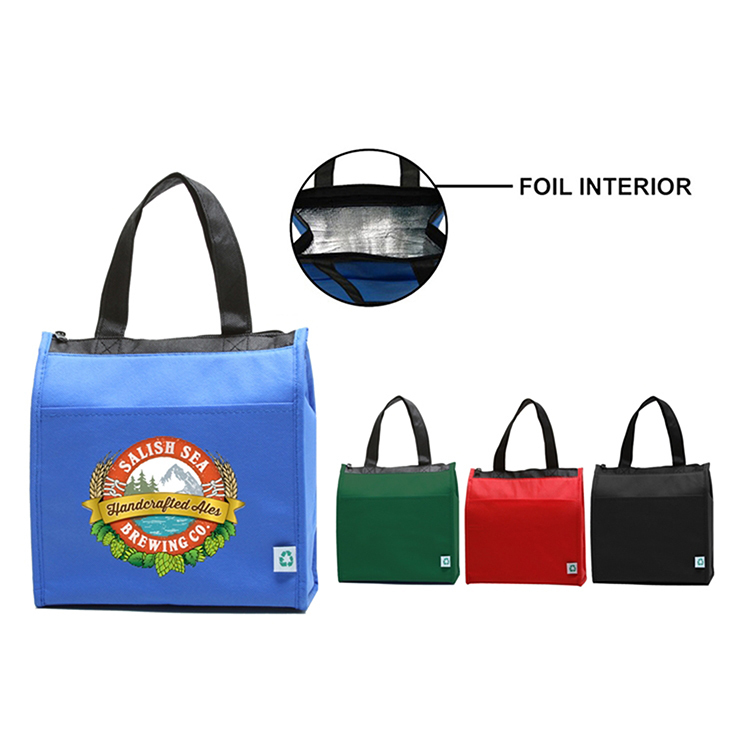 600D Polyester insulated cooler bag. 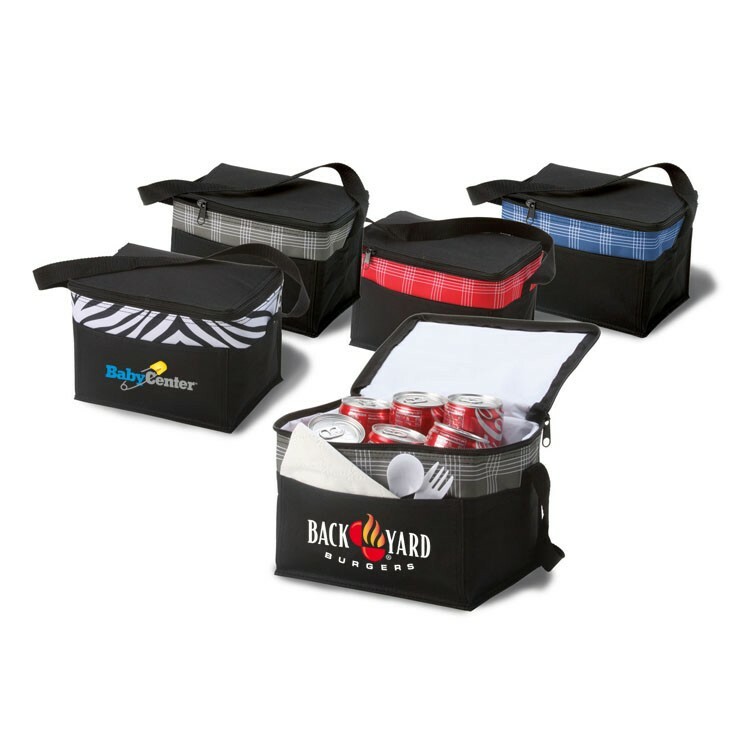 Features insulated, heat sealed & leak proof lining, adjustable shoulder strap, and holds up to 12 cans. Perfect for Picnics or other outdoor needs! 6 Can 600D poly cooler bag. Insulated with Lead Free PEVA lining. Lining heat sealed and leak proof! Features open front pocket.  Glam up your next promotional campaign with the Designer 6 Can Cooler! The heat sealed leak-proof lining assures that even if there are spills in the bag, nothing will seep out and make a mess. The open front pocket allows for easy access to your wallet or keys. 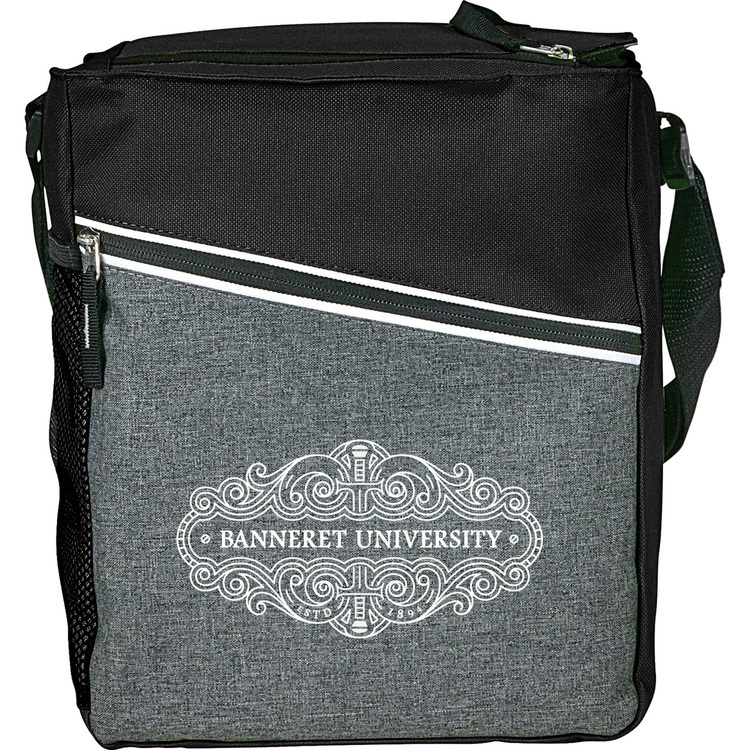 This is a great promotional item for college students, professionals or moms on the go! It's also available with personalization options from embroidery to rhinestones and glitter! 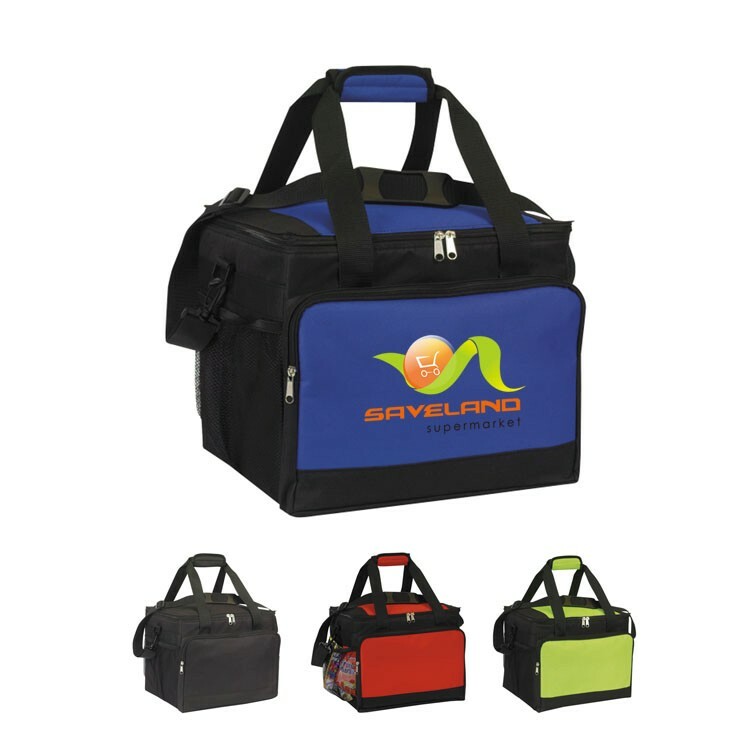 600D 24-can deluxe cooler features insulated lead free PEVA Lining, zipper main compartment, front gusset pocket & adjustable/detachable shoulder strap and Large Side Mesh Pocket. 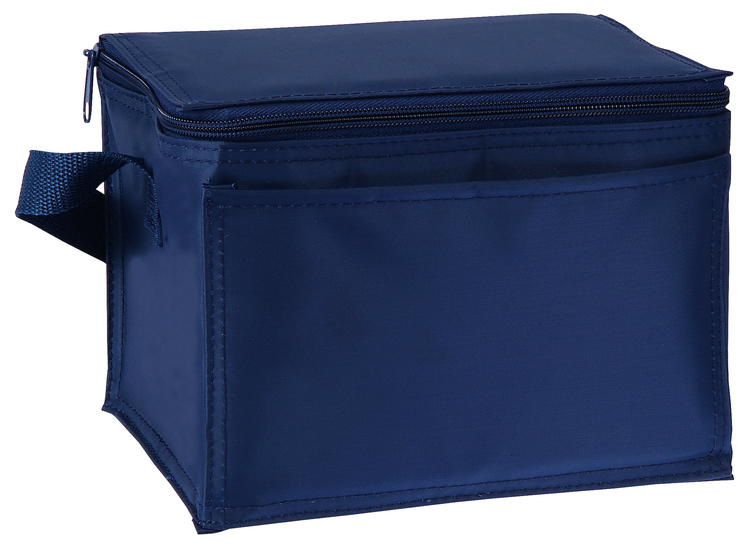 The flat bottom of this 70D nylon cooler bag is perfect for holding 24 can, plastic food containers and freezer meals. This Jumbo zippered main compartment insulated with bottom board. Large slip front pocket. 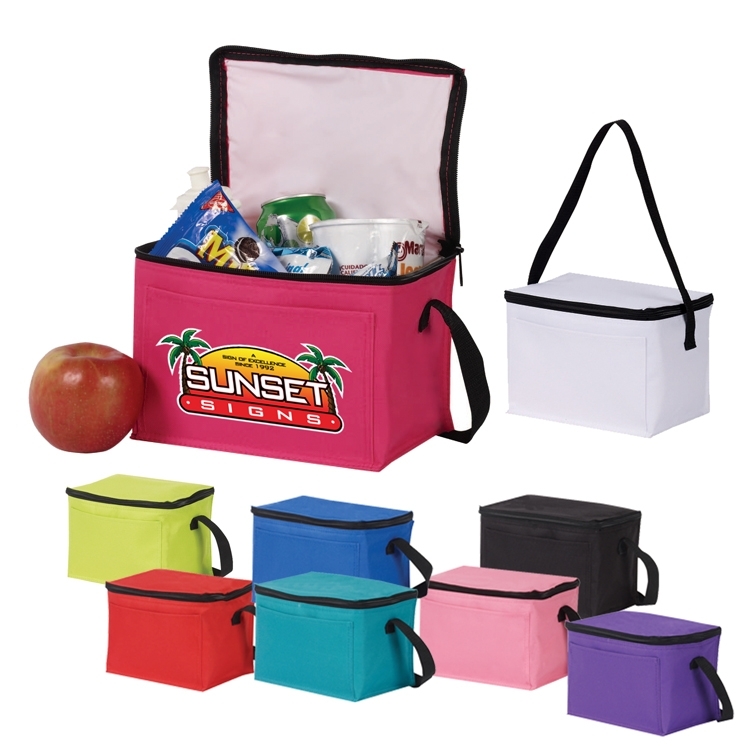 This Insulated Hot/Cold Cooler Tote is a stylish tote that is perfect for the grocery store or a day trip to the beach! 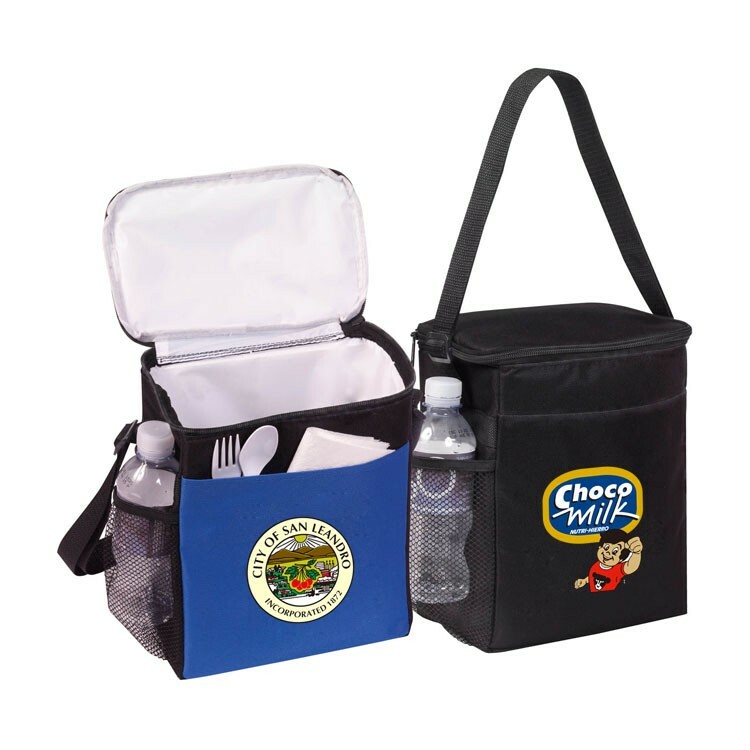 With its spacious interior and hot/cold foil lining, keep your drinks cold or your warm food items warm! 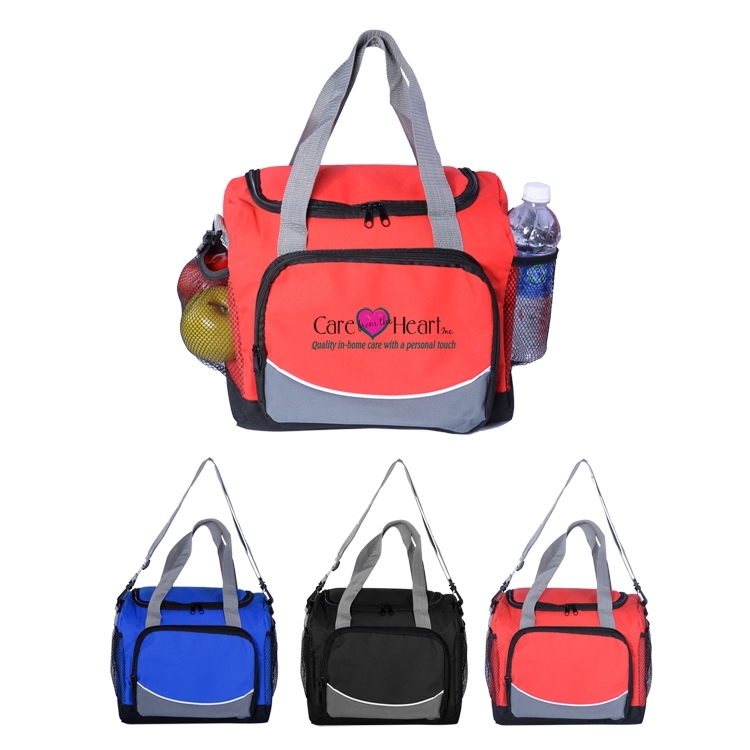 The open front pocket is great for storing plastic utensils or napkins while the full zipper top closure and drop in PE board insert will keep all your items in place. Easy to use, the handle on this bag measures 12.5''. 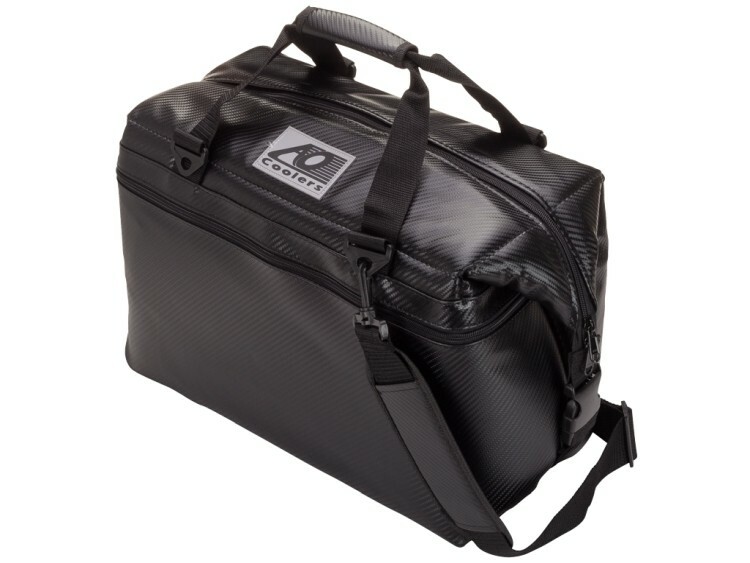 This rugged 600-denier polyester duffel bag has a spacious main compartment with U-shaped zipper closure that holds up to 12 cans plus ice. Pockets provide plenty of storage space-utilize two side mesh pockets and one large front pocket with zipper closure for better organization of essentials. Adjustable shoulder strap extends to 42". Detachable inside lining. 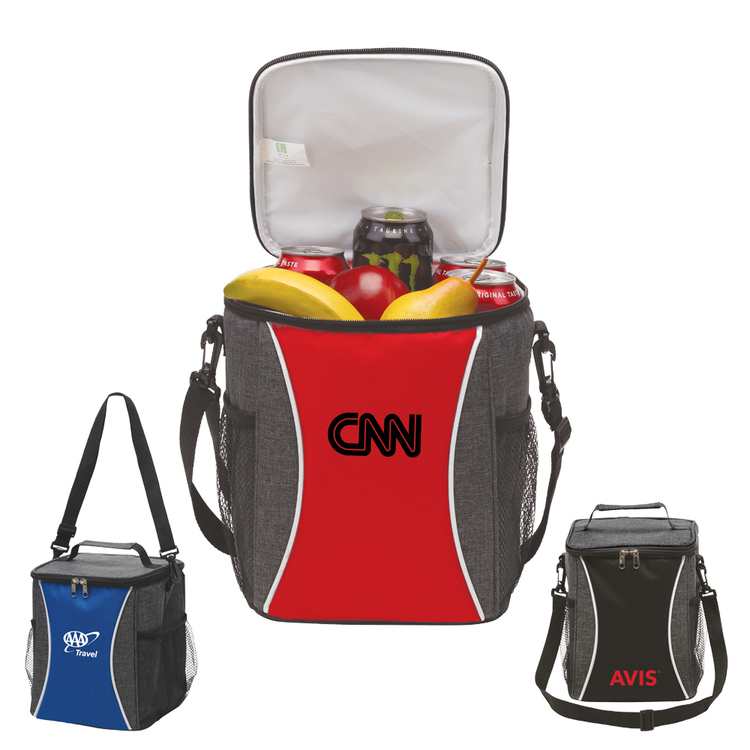 This cooler features a unique zippered top pocket and PEVA insulated interior. A front zippered pocket allows you to keep extra snacks. The adjustable shoulder strap helps secure the bag while on the move. 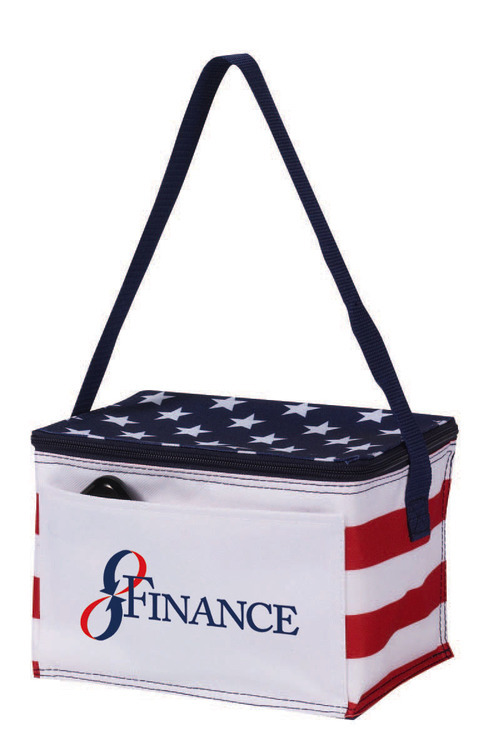 2 in 1 Round BBQ grill and cooler bag combo / kit, customize your logo on the bag, 10.4" x 9.45". The bag is made of 600D nylon, with a 39" adjustable / removable shoulder strap. 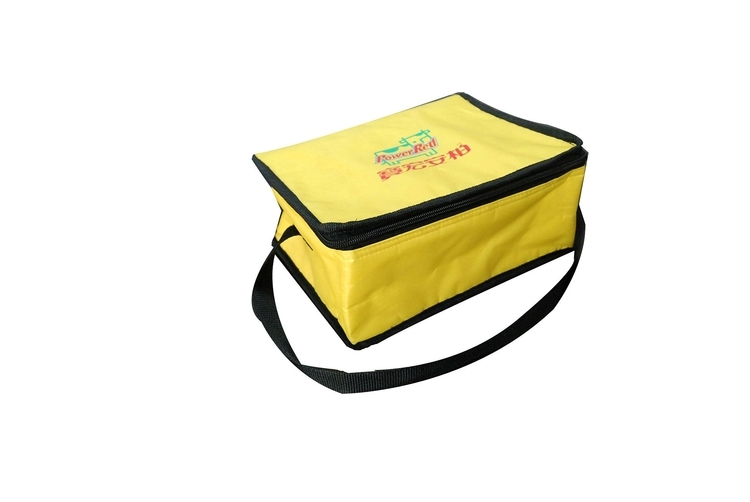 Cooler bag is made of non-woven, which can keep your food warm in winter and cool in summer. 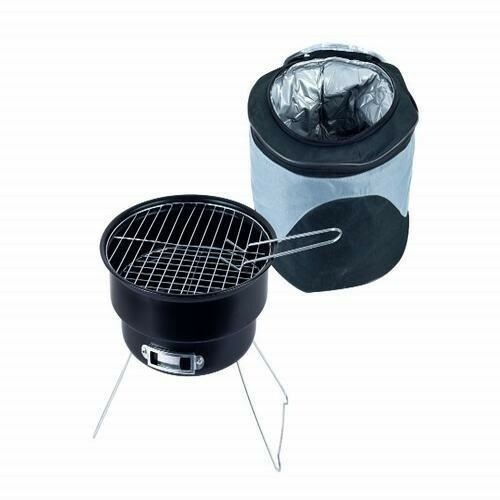 Great item for picnic, camping family party and other outdoor activities. Custom logo can be printed. 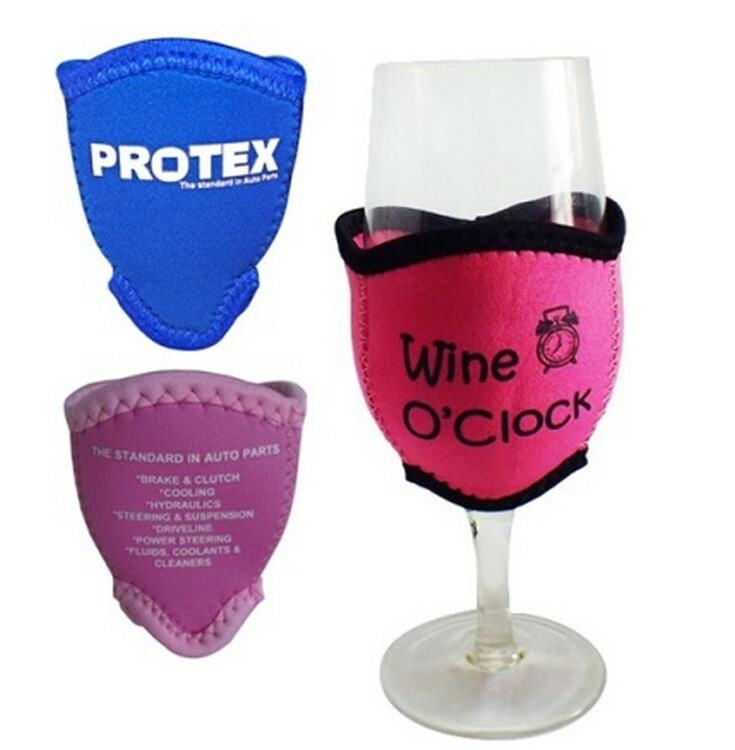 Red wine glass cooler reusable neoprene cooler bag hot cold pack,reusable,non-toxic,non-caustic.Chilling drinks quickly and keeping them cold is no longer a problem using this cooler. Imprint logo can be as request.Ideal to use for keep cold or hot.